Mobility Scooters Wheelchair Dynamics Inc.
With The Right Products, Nothing Will Slow You Down! When you need some assistance getting around, a mobility scooter can be a worthwhile investment that’ll enhance your quality of life. You won’t need to rely on others to get from one place to the next. The only thing left to figure out is which type of mobility scooter is right for you. After all, you want to be certain you choose the right model for your individual needs. Wheelchair Dynamics is proud to sell and service 3- and 4-wheeled mobility scooters from Golden Technologies, Pride, Drive, and Invacare. Browse our selection below or stop by one of our convenient Iowa locations in Sheldon or Sioux City to try them out for yourself. Our compassionate staff is always here to help you find the right products for you or your loved ones – contact us today to get started! Before you get caught up trying to choose a specific brand and model, the first thing you’ll want to do is decide whether you’d prefer a 3-wheel or a 4-wheel scooter. If maximum maneuverability is at the top of your priority list, you should consider purchasing a 3-wheel scooter. These models are known for their low turning radius, which makes them very easy to manage. 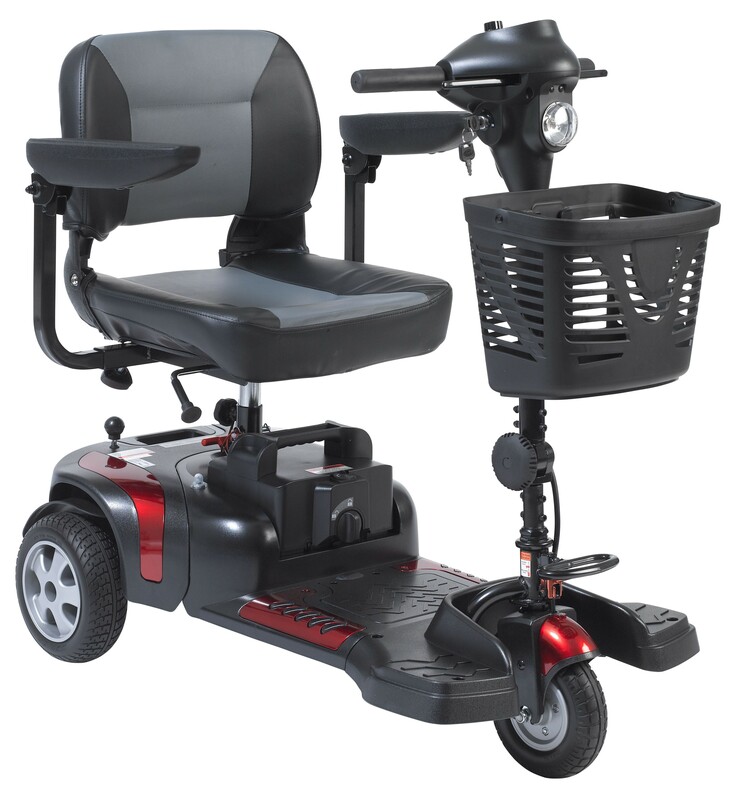 The ideal uses for this type of mobility scooter include indoors, on flat, even ground, and inside of stores. If you choose a full-size 3-wheel scooter, it should be equipped to handle outdoor riding as well thanks to the larger frame. 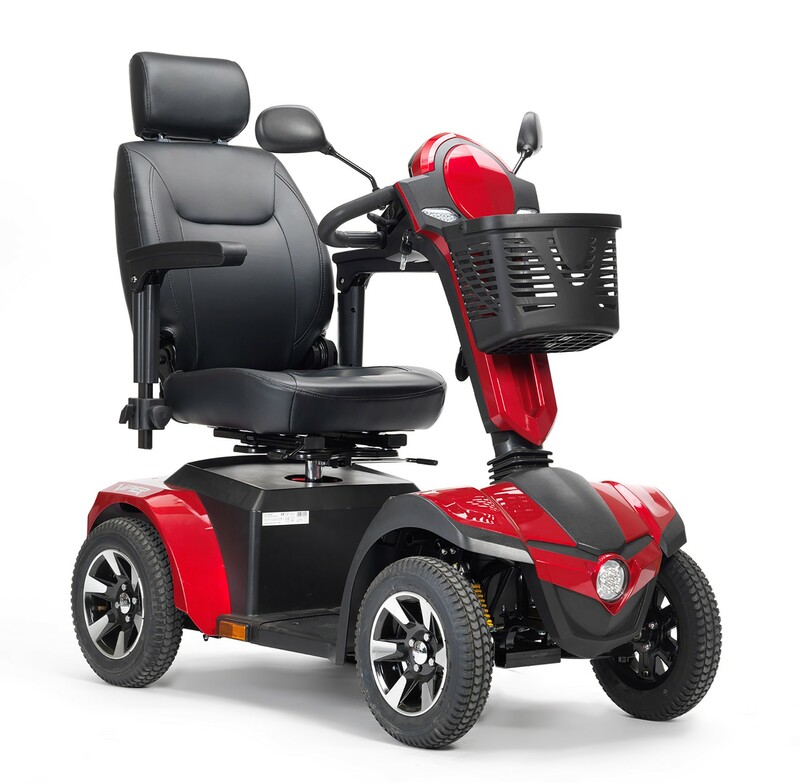 Another option you’ll want to consider is the 4-wheel scooter, which is usually the choice for users who need even weight distribution. If you foresee a lot of outdoor use in your future, then this option will suit you well. You won’t have to worry about lack of stability when riding over rough, uneven terrain. Of course, you should always consider the weight of the user, the ease of operation, and the size of the scooter. If you need to have a sturdy, broad, and wide base, then you’ll be more than satisfied with what the 4-wheel scooter has to offer. Ready to start shopping for the perfect mobility scooter? Be sure to stop by Wheelchair Dynamics Inc., and we’ll help you browse our inventory. Our friendly staff would be happy to answer any questions you might have and point you in the right direction of the ideal scooter for your needs. We’re located in Sheldon and Sioux City, IA.